The Best of Teacher Entrepreneurs: Language Arts Lesson - "Sentence Structure: Redundancy, Parallel Structure, Variety"
Language Arts Lesson - "Sentence Structure: Redundancy, Parallel Structure, Variety"
Grammar and Usage Lesson - "Sentence Structure: Redundancy; Parallel Structure, Variety"
This lesson contains three worksheets: one each on redundancies, faulty parallel structure, and lack of sentence variety all for the low price of ONE DOLLAR. Each exercise requires the student to recognize the problem and then to rewrite the sentence to eliminate the problem. Easily incorporated into a lesson on essay revision and the importance of word choice and sentence structure, these exercises will aid students in creating more coherent essays. Includes answer keys. 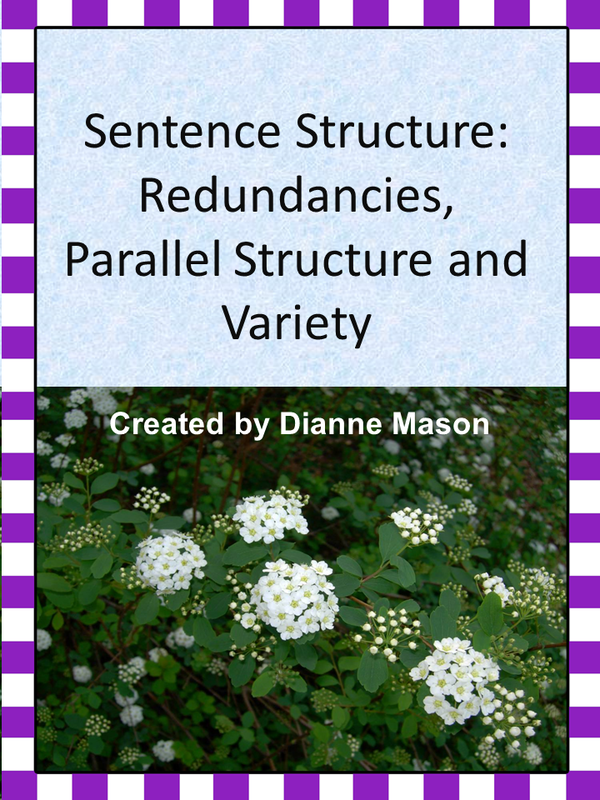 Click the following link to go to my TpT product page and purchase this highly rated lesson.